Summary: After earning a Master's Degree by the age of 14, this brilliant scholar used his skills for God's Kingdom. Melanchthon was born in Bretten, Germany, in 1497. His father was an armor maker who was known for the quality of his work. Melanchthon was sent to a famous school located at Pforzheim. Here he studied Greek. At the age of twelve, he started studies at the University of Heidelberg. After two years, he received a bachelor’s degree in Liberal Arts. He was 14 years old. Eager to learn, he applied to study for a master’s degree. The University denied his application because he looked too young. He then applied to the University of Tuebingen. Here he received a master’s degree at the age of 17. He also received a bachelor of theology from the University of Wittenberg. He received this degree in 1519, a year after he began there as a professor of Greek. 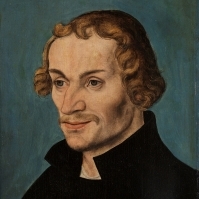 Melanchthon worked with Luther at Wittenberg. They developed a father-son relationship. His strong convictions and character often had impact on Luther’s opinions. Melanchthon never wavered in his believe that the Bible, not the Papacy, is man’s spiritual guide. He opposed many teachings of the Catholic Church; he believed that the bread and wine should be given to the whole church. He also opposed priestly celibacy, mass, and justification by works. In the original draft of the Augsburg Confession, Melanchthon mentioned the power claimed by the church to introduce ceremonies, fast days, and holy days. He pointed out the authority the Catholic Church gave itself to change Sabbath to Sunday. By 1541, the Catholic Church considered Germany outside of its power. However, enmity between the German Protestants and the Papacy resulted in conflict. Melanchthon stood loyally at Luther’s side during conflicts that could have torn apart the German Protestants. After Luther’s death, Melanchthon carried on as leader. Melanchthon’s body gradually grew weaker. He caught a cold in the spring of 1560. This resulted in his death on April 19 of the same year. An attendant asked him as death drew near whether there was anything he wished. He replied, “Nothing—but heaven!” Melanchthon’s remains lie beside Luther in the Castle Church at Wittenberg. i. James William Richard, Philipp Melanchthon: 17. 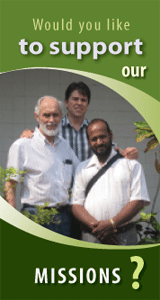 This article is adapted from Gideon and Hilda Hagstoz' Heroes of the Reformation.